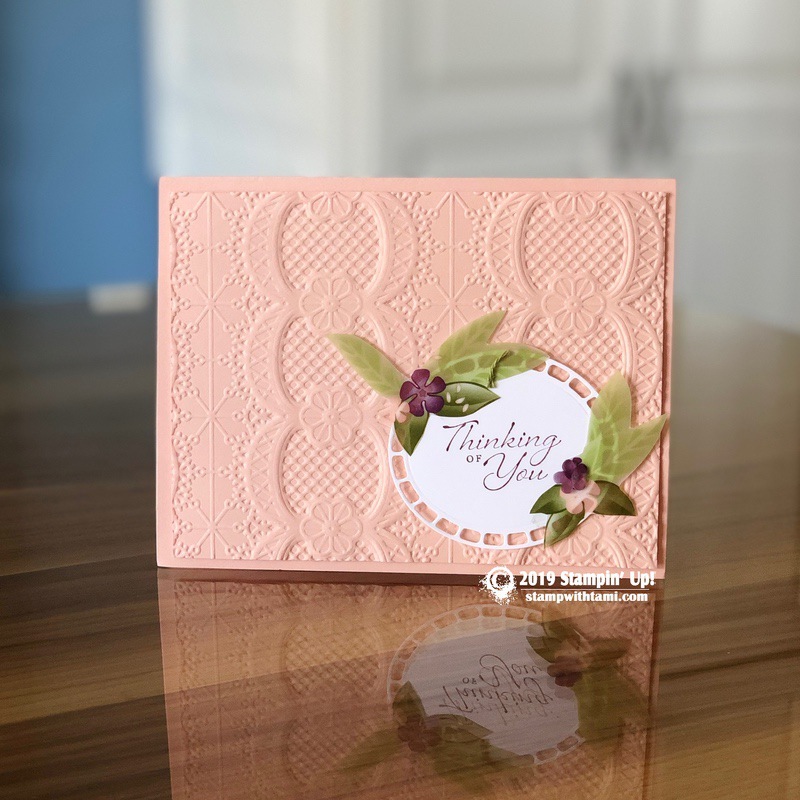 This is a beautiful “Thinking of you” card, created with the Stampin’ Up! Floral Romance Suite. The words are from the Wonderful Romance stamp set, framed with a die cut from the Floral Romance dies. The vellum flowers and leaves are from the Floral Romance DSP collection. The background is textured with the Lace dynamic folder. I received this in a card swap, there was no name attached to the card to credit.